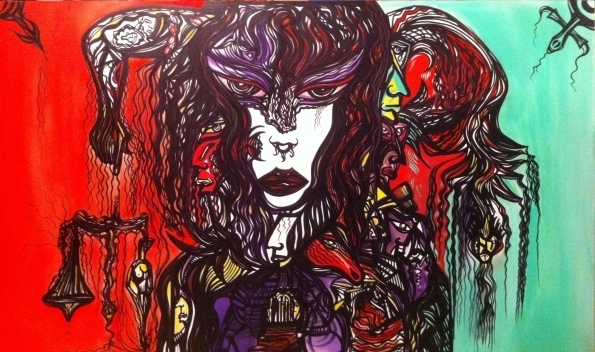 Title: "Acacia" 2010 Medium: Mixed media Size: 30" X 60" Live Art - This piece was created at Chillin' Productions live to the beat of house music in 4 hours. For clips of live art by Daryoush go to www.youtube.com and search under Atussa or Daryoush Bahar. More info at www.atussa.com.